July 4th is one of the most exciting times of the year at Lake Hartwell. There will be private fireworks shows all over the lake the weekend prior to Independence Day, but Hartwell kicks off the fireworks THIS Saturday, June 24th, near the dam at Big Oaks Recreation Center. A lot of people miss this show because it is over a week before the holiday, but this year you have no excuses! You can enjoy the show from the shore or from the water. 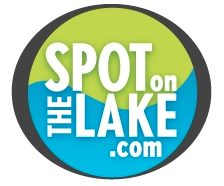 Click here for more information and make sure to save some time to let us help you find your spot on the lake.